from somebody working in the soundboard area. This is NOT the actual setlist of that show! It might be an early draft. 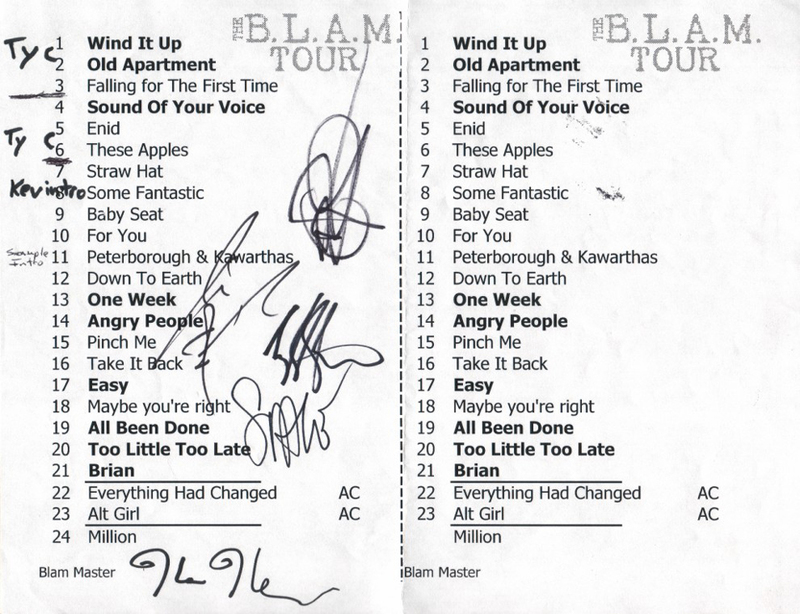 I got it signed by BNL after the show.